[LEGAL INFORMATION] FAVOR UNION CO., LTD.
1. Site content using Favor Union Co., Ltd. reserves the right to interpret everything in site, and only the site content to your personal use. Website for the content contained in the copyright and other proprietary notices, you must be respected and a copy shall be retained. If the site content without the right statement, does not mean that this site does not enjoy the right. You may not be content on this site for commercial purposes, the information by any way modify, copy to publicly display, publish or distribute such materials or otherwise use them for any public network or reality. The content and layout on this site is governed by copyright law and other forms of legal protection, any unauthorized use can constitute copyright, trademark and other legal rights. 2. Favor Union Co. Ltd. does not warrant the absolute accuracy and completeness. 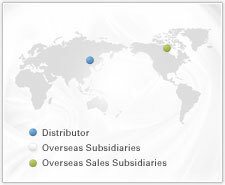 Favor Union Co. Ltd. the products, technologies, programs, pricing and allocation will be subject to change without notice. The content of this contact with you if there is conflict or agents, or agents are provided contact information shall prevail. 3. If you download software, website research in the use of software to comply with the software license agreement to bring all of the software license terms. When you read and accept the software license agreement before the provisions may not download or install the software. 4. Links to third party web site links to third party websites only as a convenience to you. Site construction and content of these sites are not controlled, without liability. If your visit and any links to third party sites are subject to any loss, this site has no responsibility. 5. Limitation of Liability Site and suppliers and third parties mentioned in this site is not responsible for any damages (including but not limited to lost profits, lost data or business interruption caused by any form of loss), whether such damage is due to use or not use the Website, or any site linked from the website, any such information contained in the construction site caused. 6. The general principles of this site may modify these terms. You should visit this page to even understand the current terms, because these terms and your personal interests are closely related.